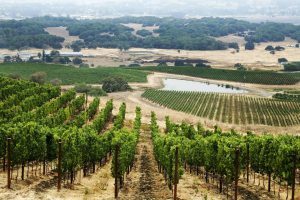 (Gap’s Crown) – Cool ocean breezes between the Sonoma Mountain and the Petaluma Wind Gap trap coastal fog just before harvest to ensure slow, and evenly ripened fruit. Oak-inspired spice with a soft yet lively acidity. TASTING NOTES: Bountiful fruit pairs with oak-inspired spice that melts in your mouth and makes for an exceptional food wine with soft yet lively acidity.